We utilise a very unique control for our Pegasus Neptune whirlpool and spa systems. The beauty of this Flush-Pad™ control is it's versatility. 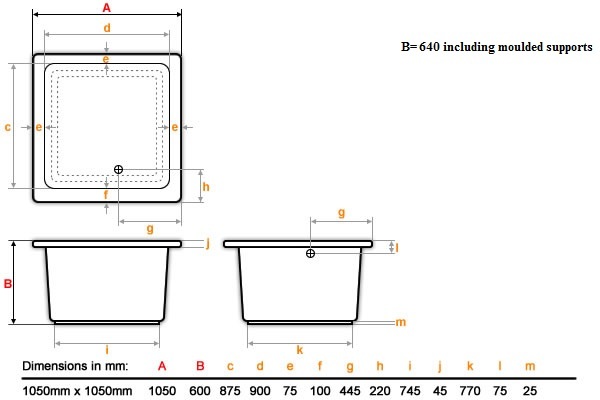 It has a very slimline design which enables it to be located in almost any position on the bath and even mounted onto a tiled wall (see the diagram above for options). 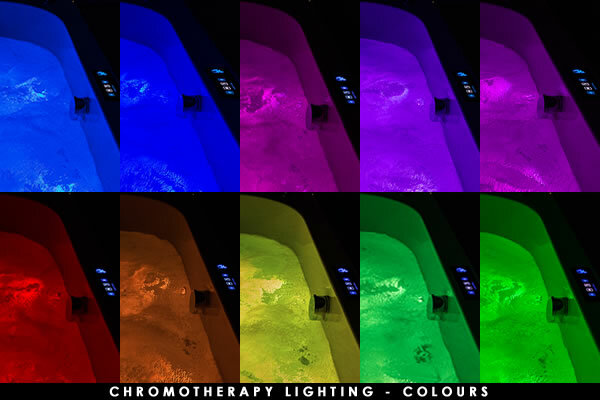 1 Chromotherapy Light (with options to add more). 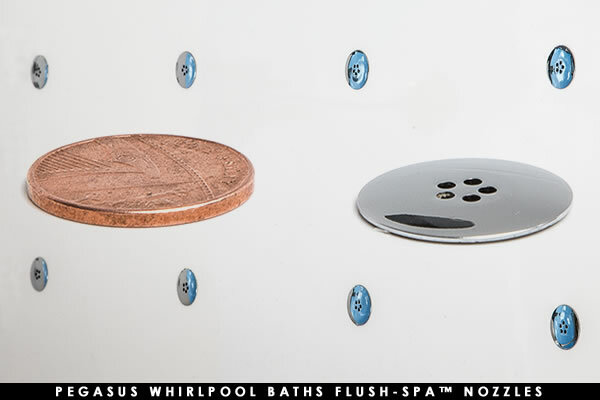 Pegasus whirlpool controls are designed to be easily installed in a convenient position where the bather can easily reach and use them. 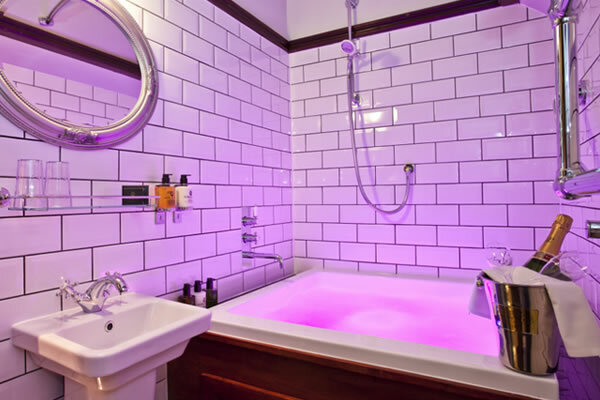 Bespoke building ensures that in most circumstances, our experienced technicians can customise the system so that the controls can be set into a wall adjacent to the bath, a plinth or even just into a convenient location on the rim of the bath. 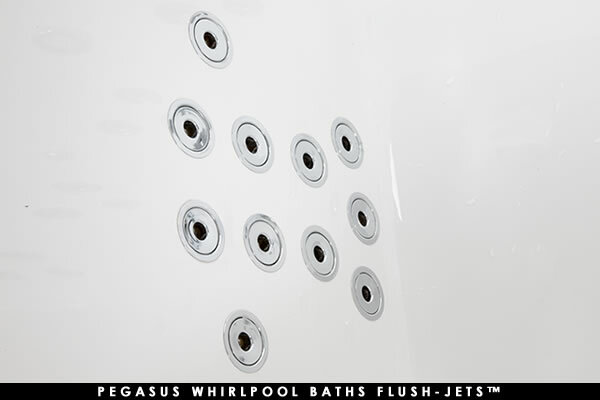 The Pneumatic Pegasus Whirlpool is our entry level system that comprises of our latest & industry leading 4th Generation (4G) Pipework & chrome pneumatic button along with air control that can be located in a selection of positions along the bath. These controls come as standard when you purchase a Pneumatic Pegasus Whirlpool Bath. The Pegasus Air-zoning whirlpool system is our mid range system that comprises of our latest & industry leading 4th Generation (4G) Pipework & electronic touch pad control that can be positioned in multiple positions along the bath. This comes as standard when you purchase a Pegasus Air-zoning whirlpool bath. 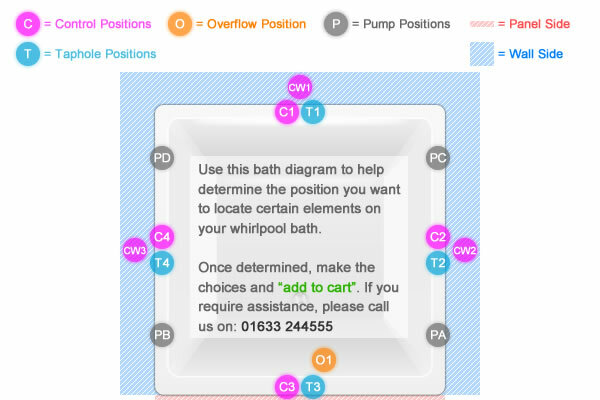 An Air-zoning whirlpool bath is divided into 3 zones (back, sides & feet). You can control the system to run through a sequence & target each zone individually or have all zones on at once. Air-zoning can be used with an Air Spa (18 spa nozzles in the base of the bath). Adding spa jets in the base of your bath gives the bather a buoyancy effect to the water. This can either be used on it's own or in conjunction with the whirlpools massaging jets (Hydropool). The Pegasus Neptune whirlpool system is our top of the range system that comprises of our latest & industry leading 4th Generation (4G) Pipework along with some unique features included. 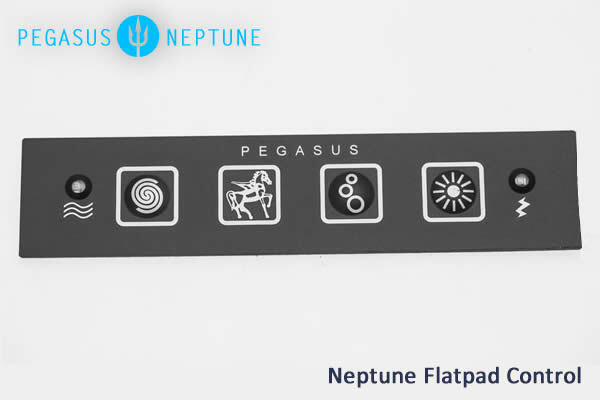 A stylish slimline, electronic gel pad control that can be positioned anywhere on the bath or even wall mounted & a chromotherapy light, come as standard when you purchase a Pegasus Neptune whirlpool bath. Neptune systems can include Air Spa jets (18 spa nozzles in the base of the bath). Adding spa jets in the base of your bath gives the bather a buoyancy effect to the water. 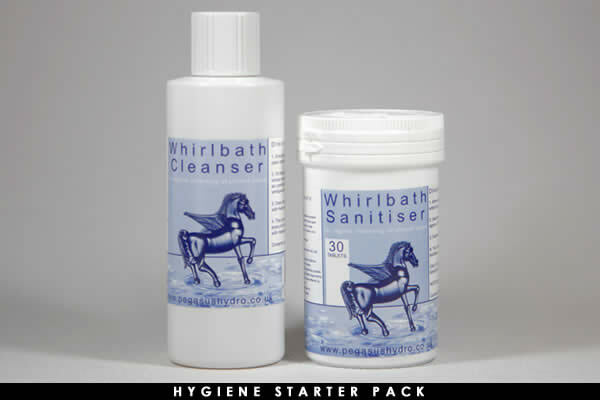 This can either be used on it's own or in conjunction with the whirlpools massaging jets (Hydropool).